Ultra Lightweight, Ultra Rigid Water Fed Pole, designed and manufactured to be the best water fed pole money can buy. We offer a range of extension sections designed to extend each Nano water fed pole allowing the same pole to be extended to work at greater heights. 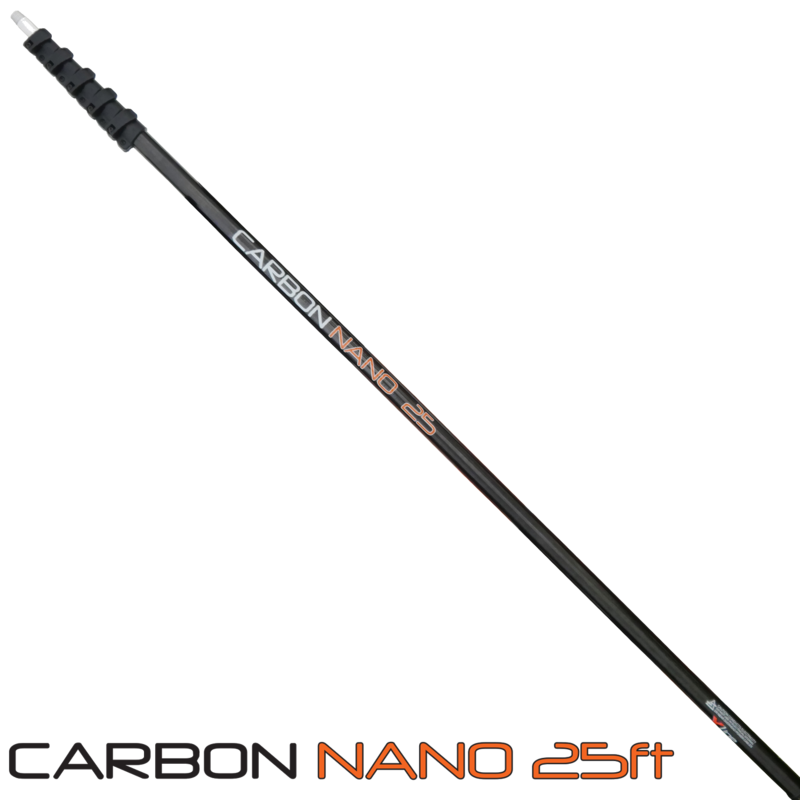 Each extension is made from our high quality super high modulus carbon fibre material.